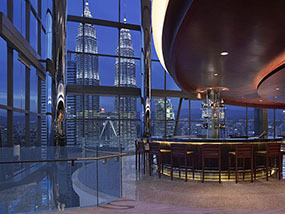 This auction was won by l***l.
For more information read my review of the Grand Hyatt Kuala Lumpur, Malaysia. Enjoy a 3 days, 2 night weekend stay (valid on Friday, Saturday and Sunday nights only) for 2 guests in a Garden View Room including daily buffet breakfast at THIRTY8 Restaurant, Grand Hyatt Kuala Lumpur, Malaysia, worth approximately MYR 1,550 / GBP£262 / USD$406. Terms & Conditions: Luxury Travel Diary terms and conditions apply. This auction item is valued at approximately MYR1,550 nett by Grand Hyatt Kuala Lumpur, 12 Jalan Pinang, Kuala Lumpur, 50450, Malaysia. No cash alternative is available; this auction item is none transferable and cannot be used in conjunction with any other offer or promotion. This auction item excludes flights and transfers – you will need to arrange your own flights/transportation to and from your home to Grand Hyatt Kuala Lumpur, 12 Jalan Pinang, Kuala Lumpur, 50450, Malaysia to coincide with your booking. Your stay is subject to availability and your reservation must be made in advance of your stay. Your weekend stay must be taken over a Friday, Saturday or Sunday nights only before 13th of October 2016 excluding bookings over Christmas, New Years Eve. Winners must pay for their auction item in full via Paypal within 48 hours of the auction end, otherwise Luxury Travel Diary Ltd. reserves the right to offer the auction item to the next highest bidder with immediate effect.